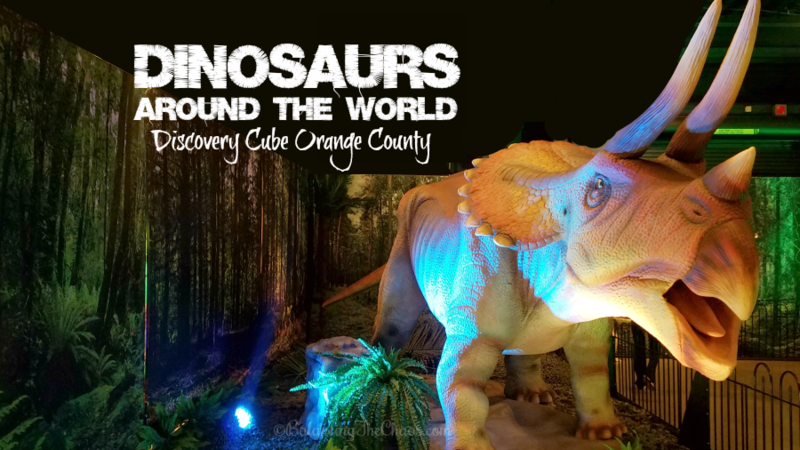 *Hosted* Dinosaurs have been spotted roaming the grounds of Discovery Cube Orange County and will be on campus until September 3rd. 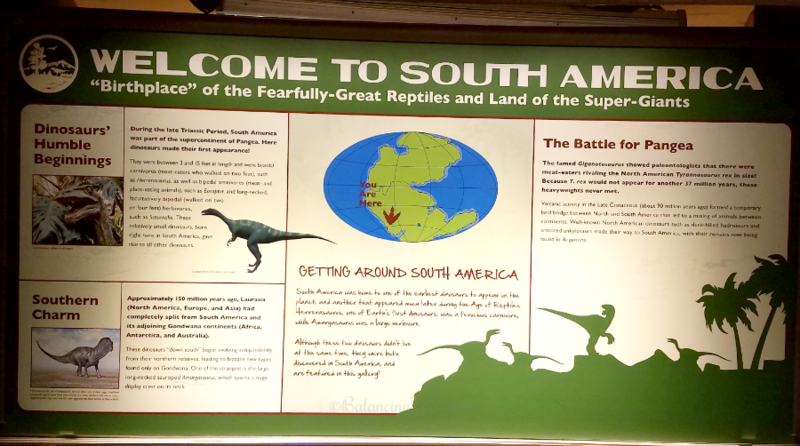 On the 2nd floor of the Discovery Cube OC, in the Julianne Argyros Showcase Theater, you will step into the Dinosaurs Around The World Exhibit. Dino-lovers of all ages will experience a time before the continents existed, bringing to life the 172-million-year reign of the dinosaurs. This summer, learn about the dispersion of dinosaurs during the splitting of Pangea. 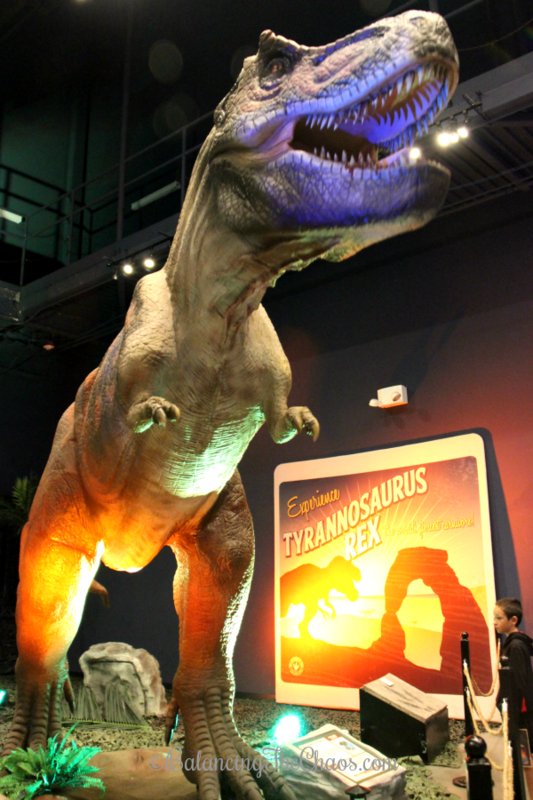 The exhibit features a variety of dinosaurs from various regions, such as the mighty Tyrannosaurus Rex of North America or the swift Velociraptor of the Gobi Desert. The dinosaurs come to life with advanced animatronics along with fossils and authentic casts kids can explore as they go on their guided tour where they answer questions in a scavenger hunt booklet along the way. While walking through the exhibit, families will discover more about the geologic time scale, geology, geography, and climatology through displays. There are also tables and chairs stationed in the middle of the exhibit where children can sketch their favorite dinosaur and answer the questions in the book they picked up at the entrance of the exhibit. 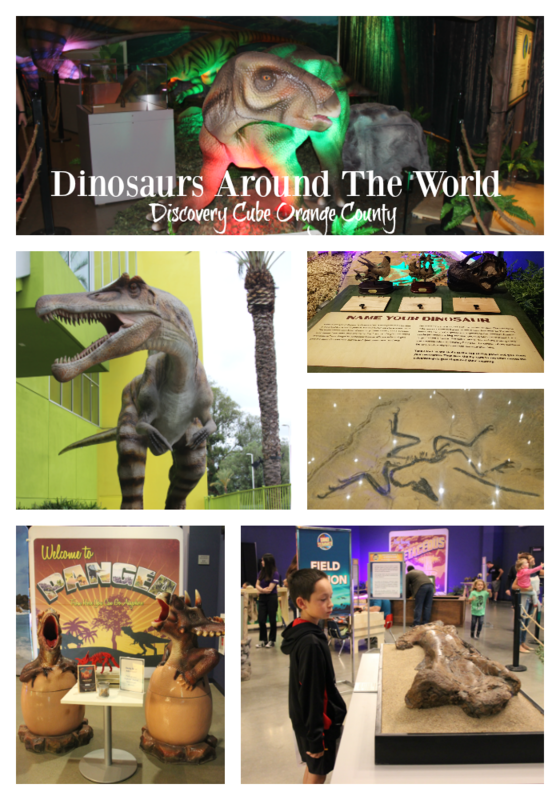 My son and I had fun checking out the many different dinosaurs on display, and the fossils. For the littlest of explorers (infants and toddlers) there is an area next to the Tyrannosaurus Rex with ride on vehicles – Little Tykes dinosaur cars and ride on/push jeeps. Admission to Dinosaurs Around The World is included in the ticket price. 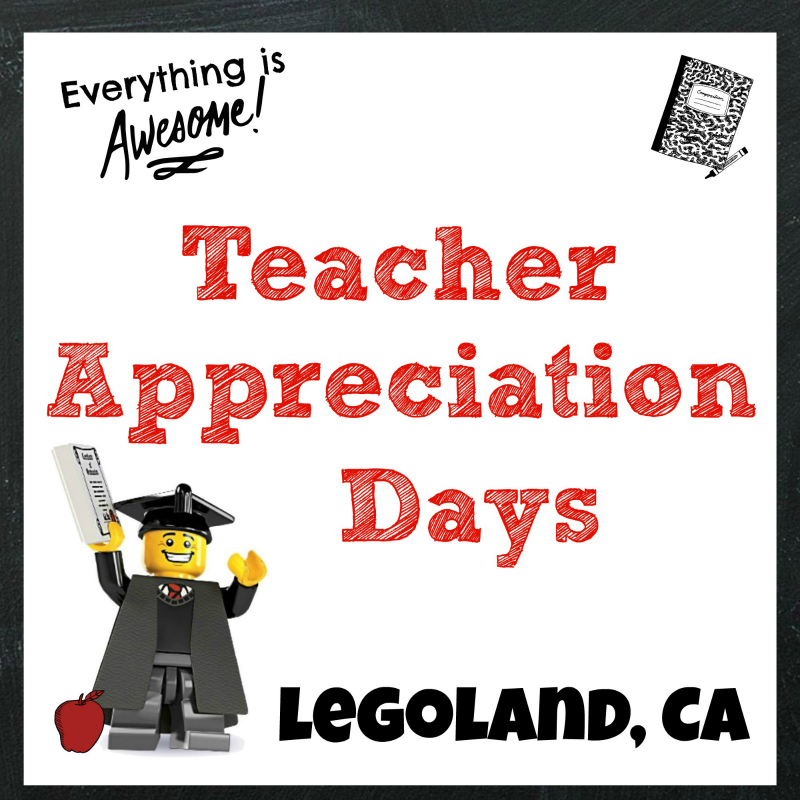 Tickets can be bought online at www.discoverycube.org or on campus at Discovery Cube OC. General admission prices are as follows: adult ($17.95), senior ($14.95), and children 3-14 ($12.95). Discovery Cube OC is located at 2500 North Main Street, Santa Ana, California 92705. 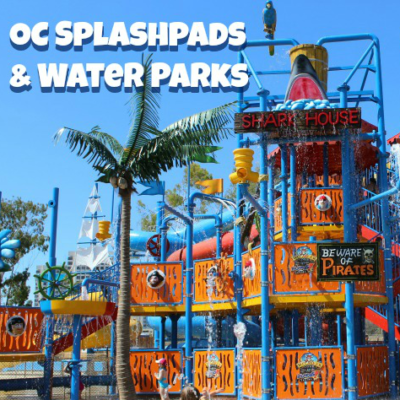 For additional information or upcoming exhibits at the Discovery Cube Orange County, connect with them via social media: Facebook, Twitter and Instagram.